A new Media Law, a Printing and Enterprises Law, a Code of Conduct for journalists and private dailies on the streets. 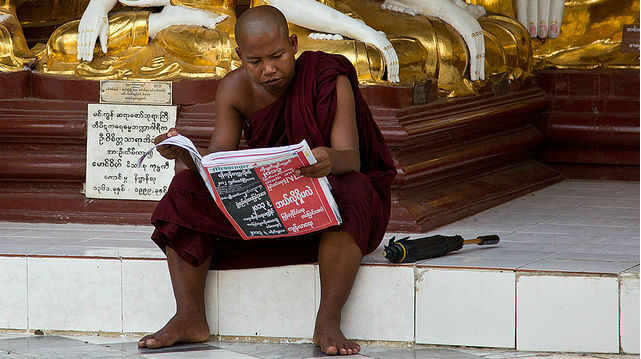 Media reform in Myanmar has come far in the almost four years since a democratisation process was initiated under the leadership of a new civilian government in 2011 after a 50 year media blackout. While citizens and civil society in the Middle East and North Africa fought for democratic reform in the streets, in Myanmar it was coming from the top without violence or uprisings. Discussions about the future of Myanmar’s media sector remain fervent. This was clearly demonstrated when stakeholders within Myanmar’s media environment, including journalists and editors, government officials, academics and civil society, came together for the third annual conference on media development organised by UNESCO, International Media Support and the Myanmar Ministry of Information in September 2014. 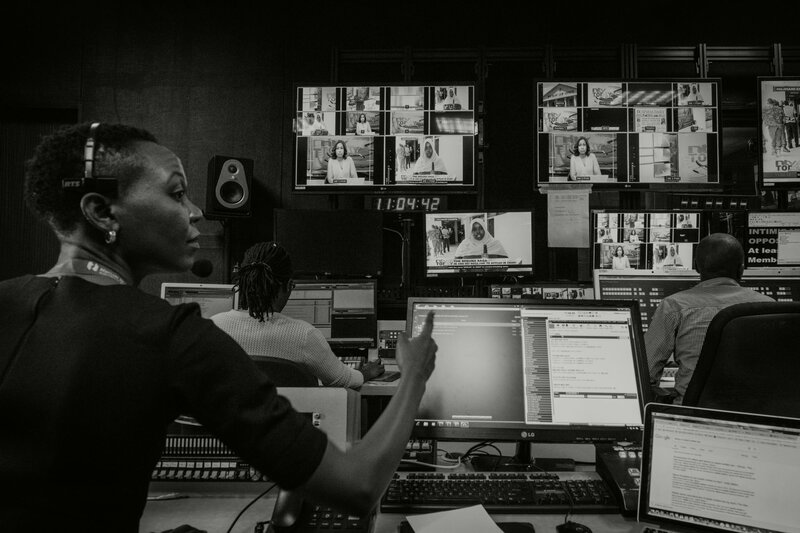 While not everyone agrees on the extent of progress in the media sector, especially in light of some backstepping by both government and the media itself in 2014, media reform remains very much a central issue of scrutiny on the public agenda. U Thiha Saw, Vice President of Myanmar Journalist Association, and a member of Press Council (Interim), is a prominent figure in Myanmar’s media environment today, having played an active role in the establishment of the country’s first Press Council (interim), as well as in the Myanmar Journalist Association and the first private Myanmar Journalism Institute. In his eyes, one of the most significant changes in the media environment in Myanmar over the last four years was the abolishment of censorship. “In 2012 the censorship board was dissolved, more than 400 monthlies and weeklies were released and pre-censorship abolished. The arrival of private dailies in the media market was a result of abolishing censorship. “On the down side, there is a lack of knowledge of journalism ethics with examples of journalists writing whatever they choose. Still, there are journalists who are sued or imprisoned because of their media products. I would not only blame the government for this. The media community needs to become more ethical. Both the government and media must learn to change their ways. Until 2012, Myanmar journalists had never before had independent organisations to represent their rights. “The formation of journalism unions was a very significant change to occur in the last few years,” says U Thiha Saw. “Immediately after the reform process began in 2012, the government appointed members to a council which had a set-up that would effectively replace the control wielded by the abolished censorship board. We were a number of members who refused to be part of it. The process which led the government to accept a different construction of the Interim Press Council with members appointed by the media community – and the initial refusal of some of the appointed members to serve in a solely-government appointed council was then seen by many observers of the Myanmar media community as a clear indication of the shift taking place. While Myanmar’s current media environment represents one of the most open in the country’s history, there were a number of setbacks in 2014. A number of prison charges were handed out to journalists for critisising authorities. In October 2014, Aung Naing, a journalist was shot dead while in the custody of the authorities and in November, 11 journalists from the Myanmar Herald were hit by defamation charges following the publication of an article critisising the president. Grave concerns around these setbacks have been voiced by both Myanmar and international media stakeholders. However, a positive attitude to push forward with media reform by both government and media nevertheless resonated at the annual media development conference in Yangon in September 2014 – coupled with the recognition that building a free and professional media environment is the responsibility not only of government, but also of the country’s media professionals. This is the first in a series of articles marking the third anniversary of International Media Support’s media development programme in Myanmar. Since January 2012, with financial backing from Sweden, Norway and Denmark, IMS has worked directly with journalist associations, government institutions, civil society groups, and other partners to develop a competent, professional and independent media. Please visit our Myanmar webpage for more information.